The members of this order are the masters of disguise. I have been lucky enough to photograph a few specimens, and I emphasise the word “lucky” because I can’t tell you how I spotted them. I suppose I’m just blessed with a good eye…….or something like that. Stick and leaf insects come in a variety of sizes and shapes, but they all generally have elongated bodies that are cylindrical or slightly flattened. 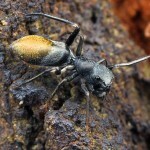 They have small compound eyes, antennae of varying lengths and mandibulate mouthparts. Not all species have wings, but those that do having membranous hindwings partly covered by shorter, hardened forewings. After mating, females lay several dozen to several hundred eggs amongst leaf litter. Many eggs have a small knob on them that ants like to eat, so the eggs get taken into the ants’ nests, which affords them some protection until they hatch. When hatched, the young resemble the adults, but without wings. They moult several times over a period of one to three months until they reach maturity. The adults can reach enormous sizes. 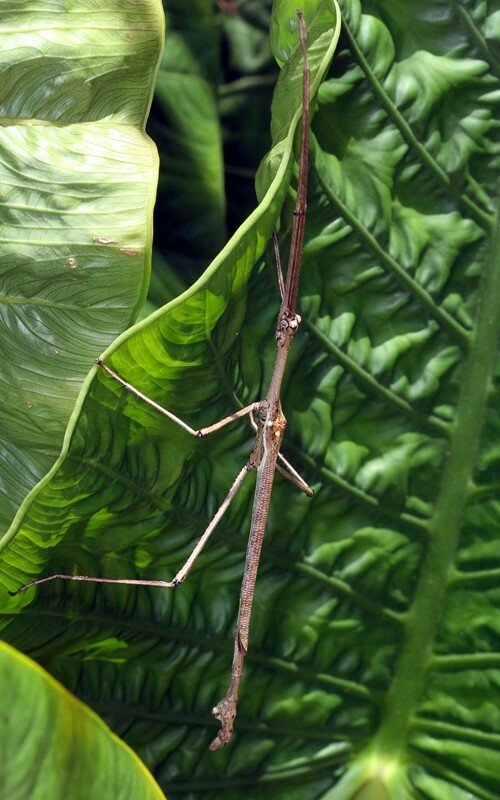 With legs outstretched, the Gargantuan Stick Insect can exceed 600 millimetres! Phasmids are herbivores, living on leaves or grass, and can be found in most forested areas where an adequate food supply is available. 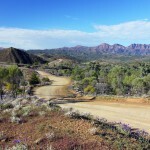 There are only 100 or so described species of Stick and Leaf Insects in Australia and there is still so much to learn about these fascinating creatures. 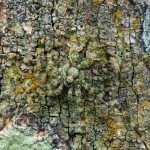 Spur-legged Stick Insect – Didymuria violescens. 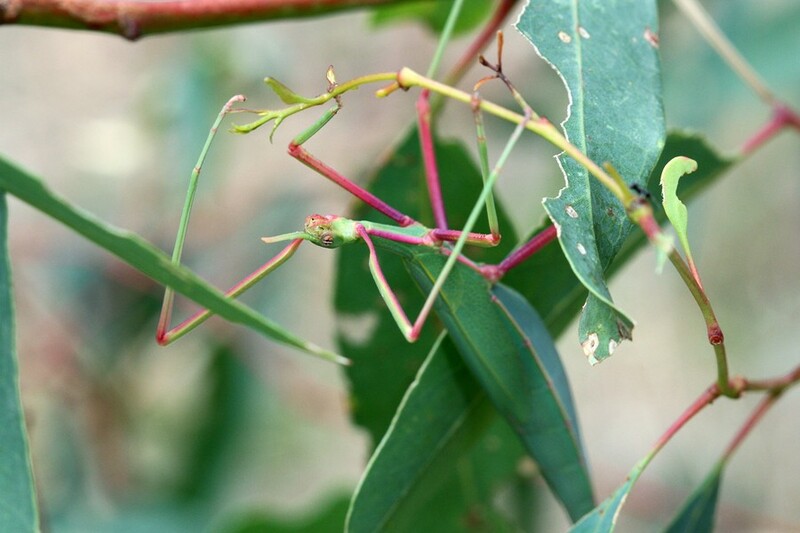 It looks very much like the Eucalyptus leaves it lives on, right down to the pink legs that mimic the leaf stems.